NICOLE McAULEY – Nicole’s professional acting career began with roles in such movies as THE NUTTY PROFESSOR, with Eddie Murphy, and THE DEVIL YOU KNOW, and countless television series including THE TIM CONWAY SHOW and FATHER MURPHY. 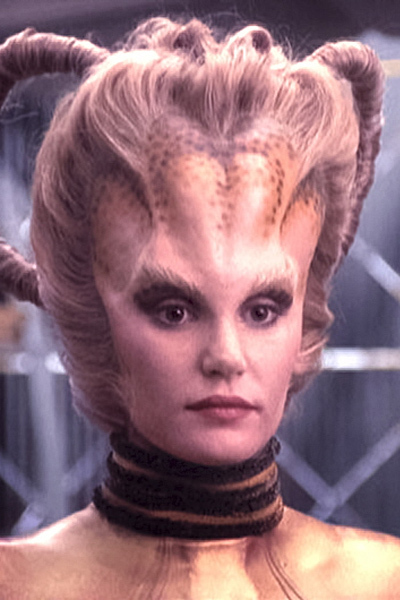 She is best known to her fans, however, for her work on STAR TREK VOYAGER, as photo and body double for the character 7of9, a member of Star Fleet, Holograms and a Borg. The looks of those characters inspiring her, Nicole went on to become a top make-up artist and hair stylist, mostly working with celebrities in movies, TV, commercials and print. Nicole McAuley also has her own comic book line including the titles DAKOTA DRAKE, SOULS AT PREY and THE ADVENTURES OF CHANCE LUNA.